A migratory shorebird that has flown more than 400,000 miles has reappeared once again. 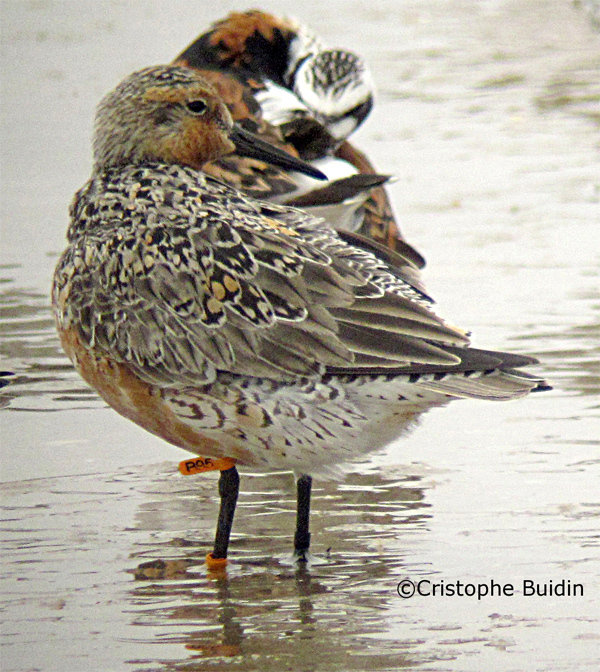 The bird, dubbed “B95” after the number on his leg band or “Moonbird” for the distance he has flown over his lifespan, is a rufus red knot (Calidris canutus rufus) that scientists have been tracking for 19 years. 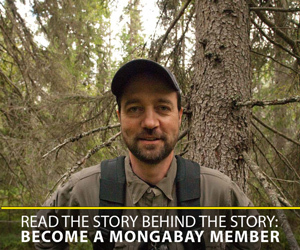 Each May his arrival is anxiously awaited by researchers who want to see whether he survived his annual 16,000-kilometer migration (9,940 mile) each way from the Canadian Arctic to South America’s Tierra del Fuego. This year he arrived on May 16 at Mispillion Harbor in Delaware. Rufus red knots once numbered around 100,000 on Delaware Bay but their population has declined to a fraction of that due to over-harvesting of horseshoe crabs. Over the years, B95 has become a symbol of the plight of the species. He was immortalized last year in a book, Moonbird, by Phillip Hoose, as well as a statue built at Mispillion Harbor. B95 photographed on May 20, 2013 by Christophe Buidin. (06/11/2012) He is so long-lived that he has surpassed all expectations, touching hearts throughout the American continent, bringing together scientists and schools, inspiring a play and now even his own biography. B95 is the name of a rufus red knot (Calidris canutus rufus), a migratory bird that in his annual journeys of 16,000 kilometers (9,940 miles) each way from the Canadian Arctic to Tierra del Fuego, in Argentina, has flown a distance bigger than the one between the Earth and Moon.